Chris Tillman will take the mound for the Orioles Friday night in the series opener. Tillman was roughed up in his last start against the New York Yankees, going 5.1 innings while allowing five runs. In 21 career starts against the Red Sox, Tillman has pitched to a 10-4 record and a 3.03 ERA. Jackie Bradley Jr. holds a .375 average with one home run and three RBI against Tillman in 16 at-bats. Eduardo Rodriguez will get the ball for the Red Sox in the series opener Friday. Rodriguez struggled in his first start of the season, lasting 5.2 innings while allowing three runs. In his three starts against the Orioles in 2017, Rodriguez went 1-2 while posting a 5.89 ERA in 18.1 innings pitched. Adam Jones has two home runs and six RBI in 25 at-bats against Rodriguez. Alex Cobb will make his Orioles debut Saturday afternoon. Cobb signed a 4-year/ $57 million deal in late March and started the season in Double-A Bowie as he missed all of Spring Training. Cobb had a nice 2017 season, pitching to a 12-10 record with a 3.66 ERA in 29 starts with the Tampa Bay Rays. In five starts against the Red Sox in 2017, Cobb went 3-1 with a 3.38 ERA in 29.1 innings. Hector Velázquez will make his second start of the season Saturday against the Orioles. Velázquez went 5.2 innings allowing one run while striking out five in his first start of the seasons against the Rays. The Orioles have never faced Velázquez in his short MLB career. Dylan Bundy will take the mound for the Orioles Sunday afternoon. Bundy pitched a fantastic game against the Blue Jays on Wednesday, going seven innings while allowing two runs while striking out 10 batters. in five starts against the Red Sox in 2017, Bundy pitched to a 2-2 record and a 3.94 ERA in 29.2 innings. Mookie Betts has two home tuns and four RBI in 22 at-bats versus Bundy. Chris Sale will get the start for the Red Sox on Sunday afternoon. Sale pitched well against the Yankees on Tuesday, going six innings while allowing one run and striking out eight. In three starts against the Orioles in 2017, Sale went 3-0 with an impressive 2.05 ERA in 22 innings. Manny Machado holds a .385 average against Sale with a home run. Andrew Cashner will take the mound to close out the four-game set for the Orioles. Cashner was impressive against the Blue Jays, going seven scoreless innings while striking out six. In two starts against the Red Sox in 2017, Cashner went 1-1 with a 3.75 ERA in 12 innings. No starter has been announced for the Red Sox for Monday’s game. David Price was expected to start, but after leaving Wednesday’s start against the Yankees after one inning due to numbness in his throwing hand, that is now in jeopardy. 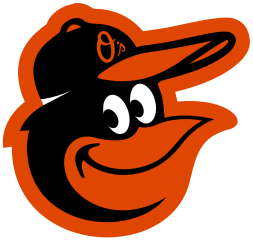 The Orioles won the season series against the Red Sox 10-9 in 2017.